Rules are made to be broken. Obviously, there are some times when rules are not in fact made to be broken and you should stick to them as much as you can. In other situations, however, it’s okay, even good to bend what you know a little. One of these situations is, for example: lengthy skincare routines! Now, I won’t pretend that I’m any kind of skin care expert, but I know that you absolutely do not need a lengthy skin care routine. In fact, it can clog your pores and all that stuff you are putting on your face will build up and not actually do anything. For people who haven’t heard of the four ‘basic’ steps that are widely used in skin care routines (I have to confess this is a fairly new discovery four me), the steps are cleansing, exfoliating, toning and moisturising. Out of these, toning is unnecessary. It does what the cleanser should do, and I don’t believe that it helps. Of course, if you think your toner works then keep using it, because if it makes you feel good then it’s obviously a good thing, but what I’m saying is that you don’t need to go out and buy a toner. Forget it. Cleansing stays, even if it’s just rinsing your face with water. Wipes also work. And exfoliating? Well, exfoliating is the weird one. Some people swear by it, but I personally think that exfoliating daily irritates my spotty skin. As a compromise, I use a scrub once or twice a week and then use Clearasil Exfoliating pad-wipe-things, which cleanse and gently exfoliate in one. My advice is to not start of too harsh. 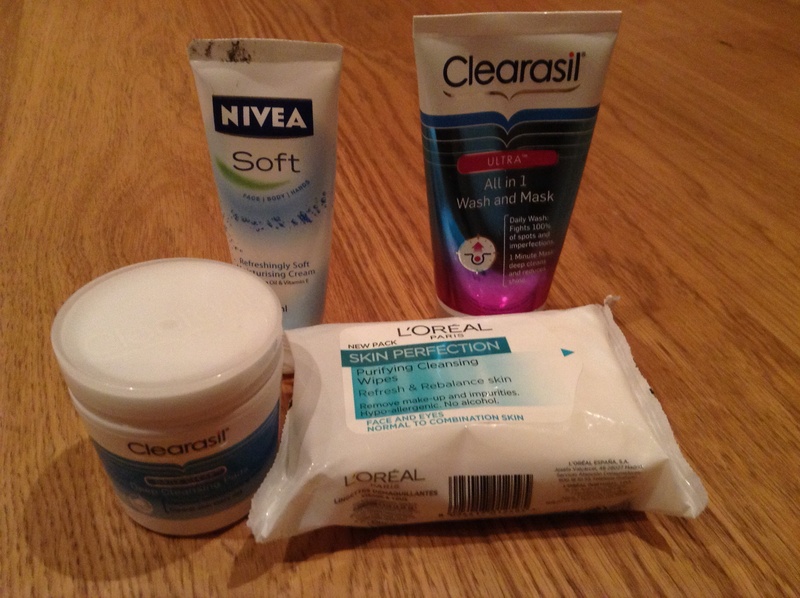 Moisturising can also be built in with suncream, primer, concealer and a whole lot else. It might seem gross, but mixing a moisturiser with a primer in the morning will stop your skin from drying whilst also priming it. Concealer and other similar products can give light coverage. You know what suncream does. This is great for people in a morning rush. So, if you’re daunted by the things that some people say on skin care routines, be reassured that you don’t have to go out and get all that stuff! You can breathe a sigh of relief.